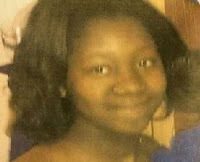 Camden County Police are searching for a missing 15-year-old girl from North Camden who was reported missing late Wednesday night. Christine Dallas was last seen at her home on Elm Street with a maroon book bag and New Balance sneakers. Police describe Dallas as 5 foot 5 inches, weighing 120 pounds, and has brown eyes and black hair. Anyone with information on her whereabouts is requested to immediately call the Camden County Police Department tip line at 856-757-7042.